Situated just off the A38, this office space enjoys a strategic location and premier business address in Gloucester. It offers a host of exceptional facilities which include state-of-the-art IT infrastructure and meeting rooms equipped with the latest communication technologies. The office is available on a fully furnished basis and it is also air-conditioned throughout for maximum comfort. 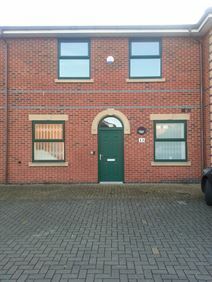 Superb location in Green Farm Business Park with Gloucester city centre is only 3 miles away. A purpose built business centre is available in the prominent Waterwells Business Park in Gloucester, within short distance of the city centre. Holiday Inn Express is within walking distance as is other local amenities. An ideal location with good road access via the nearby A38 and easily accessible to the railway station too. Offered facilities include fully furnished offices, spacious meeting/conference rooms and 24-hour security services. This ground floor office is part of a two-storey purpose built office building in Quedgeley, less than 10 minutes’ drive from the centre of Gloucester. There is a shared kitchen, swipe card security access and includes four private parking spaces.